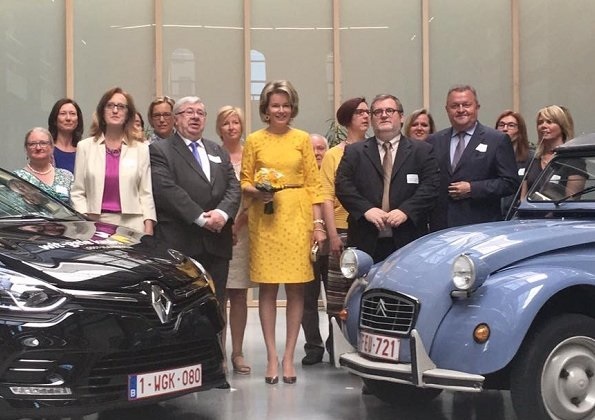 On June 1, 2017, Queen Mathilde of Belgium visited the Wit-Gele Kruis which is a nonprofit organization in Gent, provides home nursing and care. 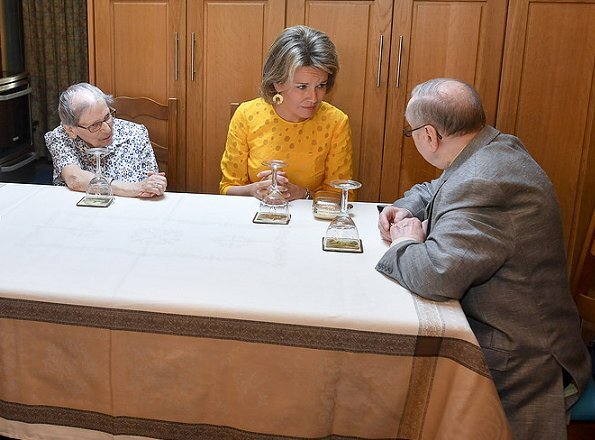 Also, the Queen joined a home visit of a patient of medical care at home organisation. Wit-Gele Kruis (White-Yellow Cross) employs 5,300 nurses who make home visits to more than 150,000 elderly and disabled patients, enabling them to live in their own homes. She wears mostly very beautiful fabrics and colours, but the dresses are often a bit to short or to "tight! Same here.